What’s in the box / The fruit shares continue / Lewis Farm delivery TODAY! Carrots – You’ll be seeing these in your shares for a few more weeks as the farm finishes harvesting this early season planting. Then they’ll be back again in the fall. Zucchini – A summer-time favorite. Have you tried slicing them lengthwise and putting them on the grill? Radicchio – Another week of radicchio – how lucky are we? Grilled wedges and toss them with balsamic, garlic and parmesan. Served room temp, it’s heavenly. Cabbage – This head of cabbage is begging to be turned into coleslaw. Add some shredded carrots and you’re good to go! See GEOF’s recipe this week. All CSA members get a 10% discount on drinks at Alewife throughout the season! 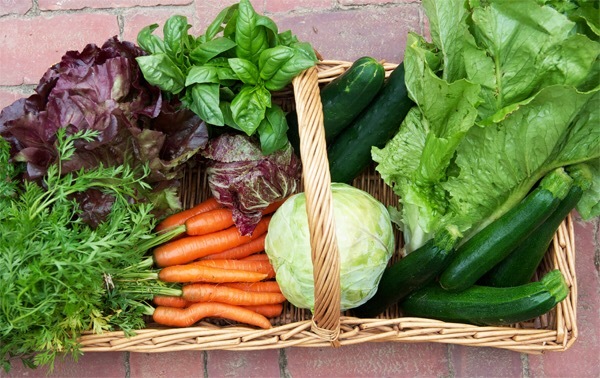 In a bag in the fridge… Lettuces, Zucchini, Cucumbers, Cabbage, Radicchio, Carrots (remove & discard tops first).